I’ve had this post put together for a little while right now… and since I am running in the Bellin Run 10K today, I figured I would share what helps me during my runs! Now, I would still consider myself a new runner and am still trying to figure out how to best arm myself with the running tools and tricks I need to get through both short as well as long runs. Whether you’re new to running in general, or if you’re just getting back into it after a running hiatus, I have compiled a few tools that I use to help me in my runs which I find useful. This is definitely the most valuable tool I have. I have actually had Nike+ for a few years, having used it for walking in the past. You connect the one sensor part to the bottom of your iPod Nano (the iPod Touch and iPhone have a build-in sensor), and then put the other sensor on your shoe. 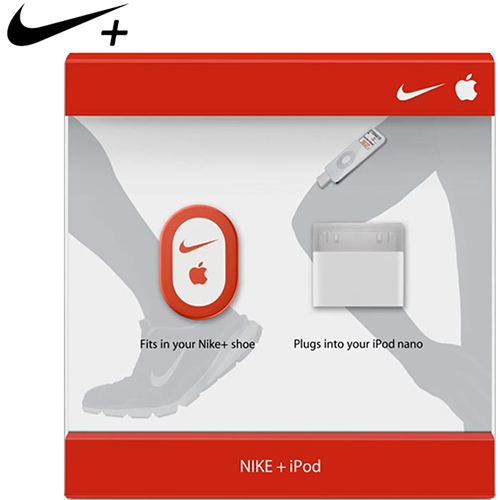 If you get Nike+ enabled shoes, there is a handy little spot in the bottom of the shoe where this can be placed and you’ll forget that it’s even there. The data can then be uploaded to the Nike website so you can see your splits, compare runs and see how many miles you ran each month. You can even make goals for yourself, whether it be increasing your time or just the amount of runs you do each week. It’s kind of ridiculous to look at how many miles I have covered over the past few years! Getting fitted for shoes was helpful for me in the beginning. I went to a running shop in Milwaukee that offered free assessments with running to see what shoes would help my stride and posture while running. At the beginning of the assessment, the person said I had pretty good stability in my feet, but after trying on a few different pairs of shoes I ended up getting ones that were quite supported to stop one of my feet from turning in during my stride. 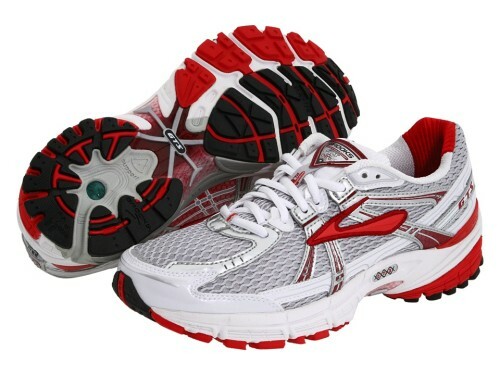 I ended up with these Brooks shoes. I am currently reading Born to Run, which features barefoot, or less assisted running which I might look to for future shoes I buy to strengthen and stabilize my feet naturally. I used to use Nike+ enabled shoes for running so the sensor thing was no problem, but when I got my new Brooks running shoes I had to get a sensor holder. 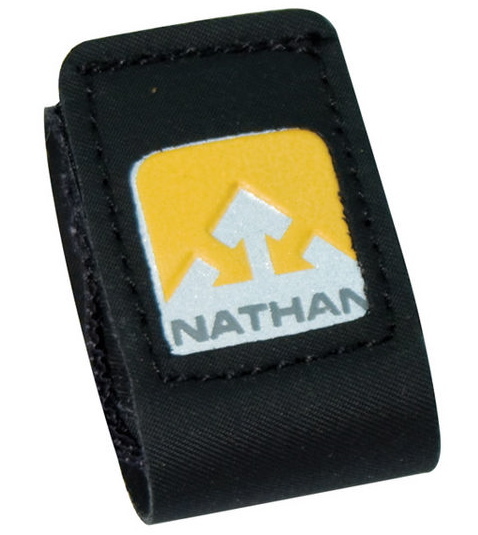 I ended up with this one by Nathan that the running store I went to had. It was only like $10 and hooks to the laces of any pair of shoes so you can use Nike+ with the shoes of your choice. It is also reflexive so helps with nighttime (or early morning) runs! This is one area that I am still lacking in. I bought a few pairs of nicer shorts and compression shorts and capris to wear, however I still need some better shirts! I am a big fan of UnderArmour. I think their quality is really nice without having too high of a price tag. It really does make you feel more motivated to run when you have some nice stuff to go out in! I will be sporting all of the aforementioned “tools” to help me today. Here goes nothing! We did it!! And what race are we doing next???????? I’m ready! !